Black Maria Theresa chandelier with, 8+1 bulbs and cut black almonds. 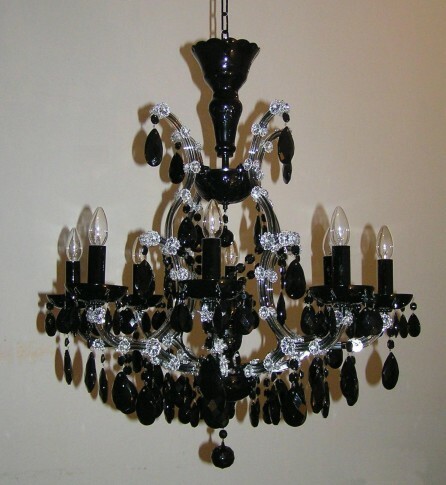 Maria Theresa crystal chandelier with black metal finish. Trimmings hand black polished almonds (arms decorated with clear glass Rosettes). 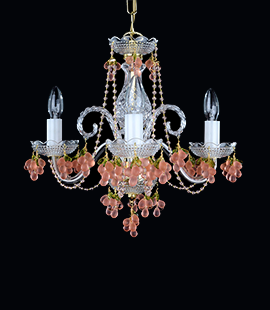 Dimensions (W x H): 73 x 79 cm/ 29.8"x32.2"
This chandelier can be ordered with almonds or flat Pendant trimmings. 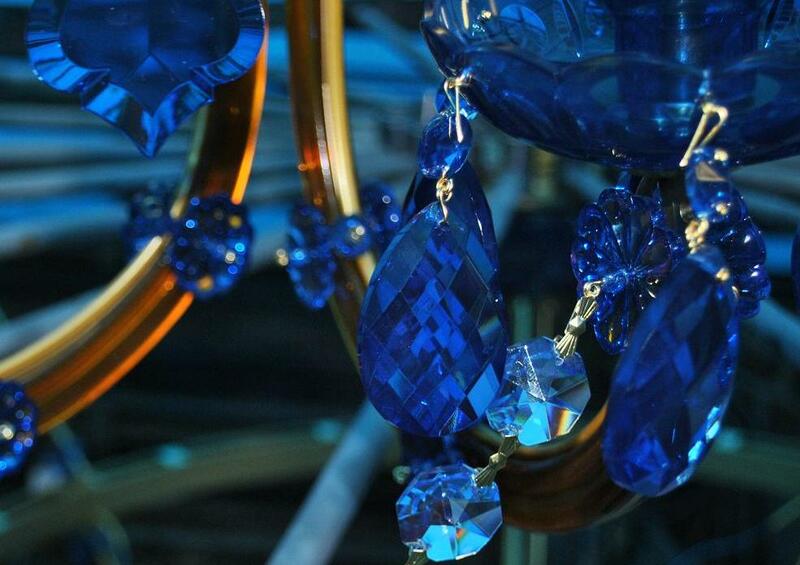 Optionally, you can order any other colors or design. See custom made production ..